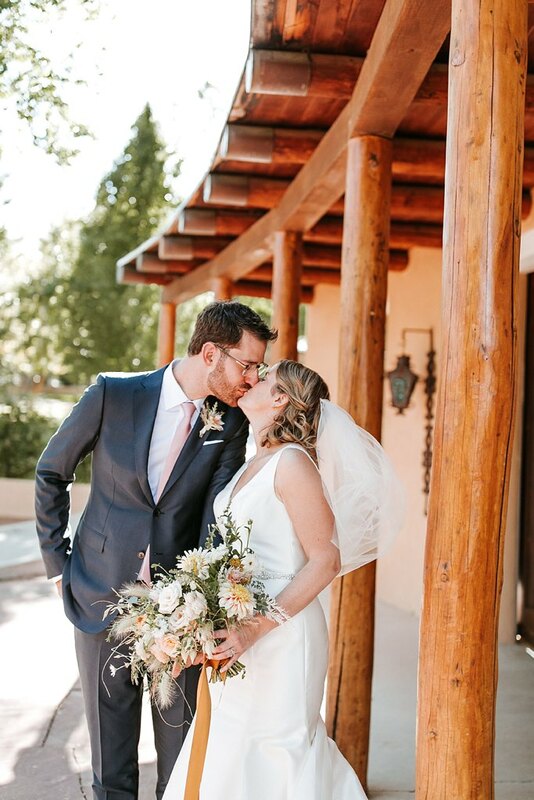 Randy and Elizabeth’s love story may have began in San Francisco (where they currently live with their pup Ryno), but these two traveled all the way to sweet Santa Fe, NM for a simple, yet elegant wedding at the ever iconic Santa Fe Opera. 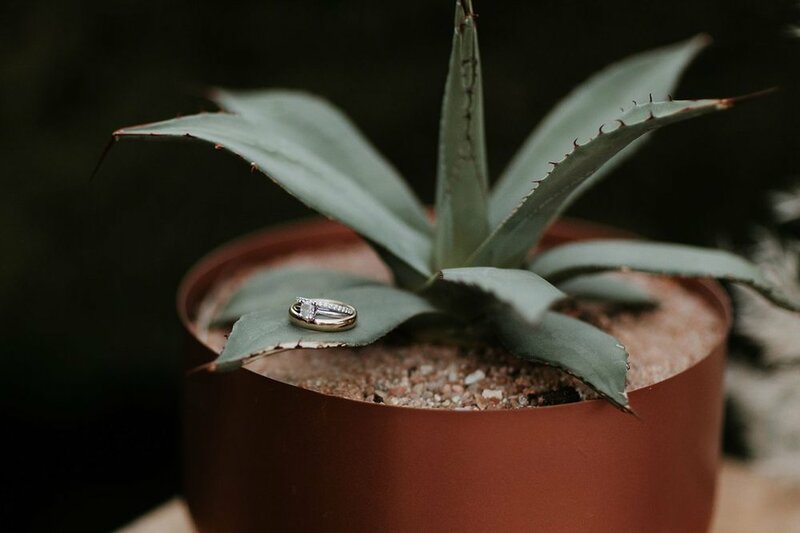 These two met just over four years ago where they bonded over their mutual love for tacos and coffee and after a few years together, Randy proposed on Thanksgiving Day. 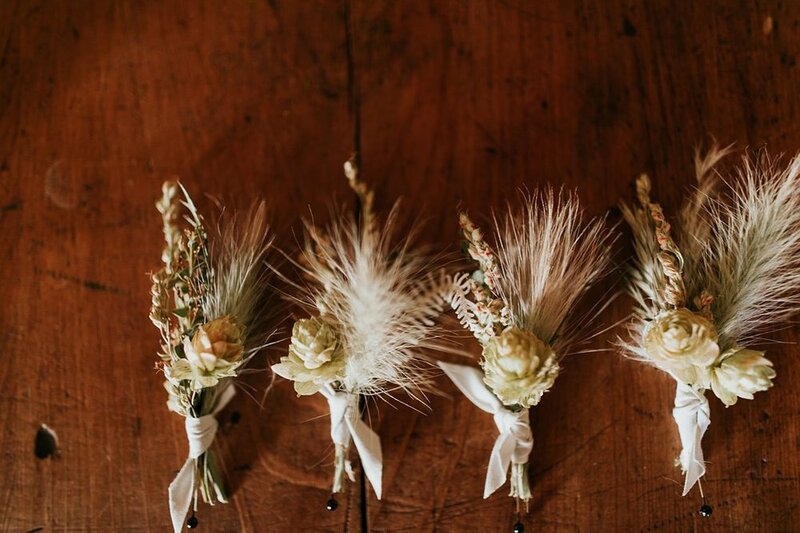 Randy and Elizabeth took destination wedding to a whole new level with the most incredible prep and wedding venues. 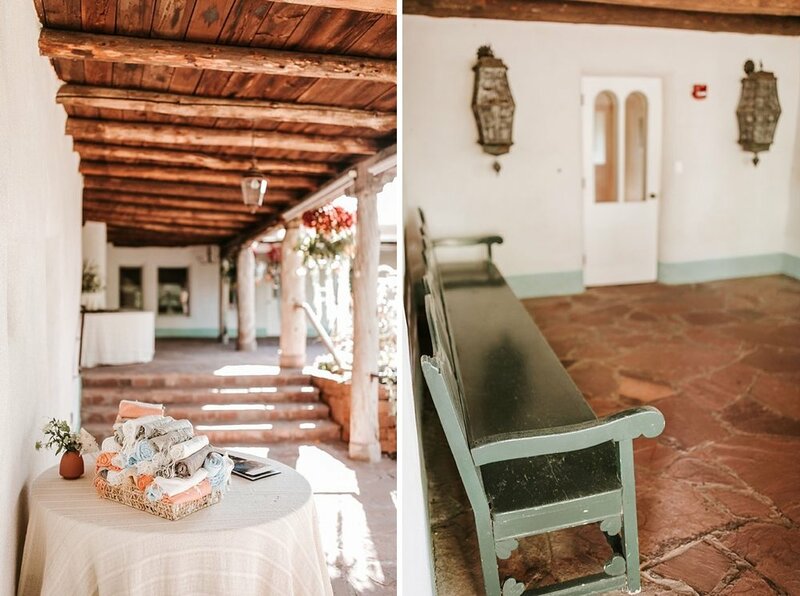 Elizabeth got ready at the quaint and incredible, Hacienda Rose just off downtown Santa Fe (we’re still swooning over this place’s wonderful New Mexican details and endless adobe architecture). 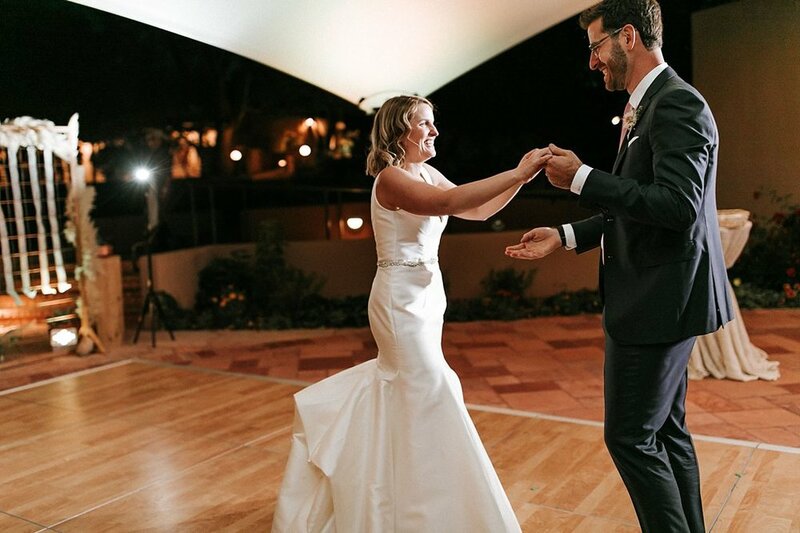 We loved Elizabeth’s effortless yet understated glam wedding day style, from her sleek Monique Lhuillier gown accented with a jeweled BHLDN belt to her glitter encrusted Jimmy Choo pumps, this bride knows how to pull off one of our favorite subtle glamorous looks of the year! 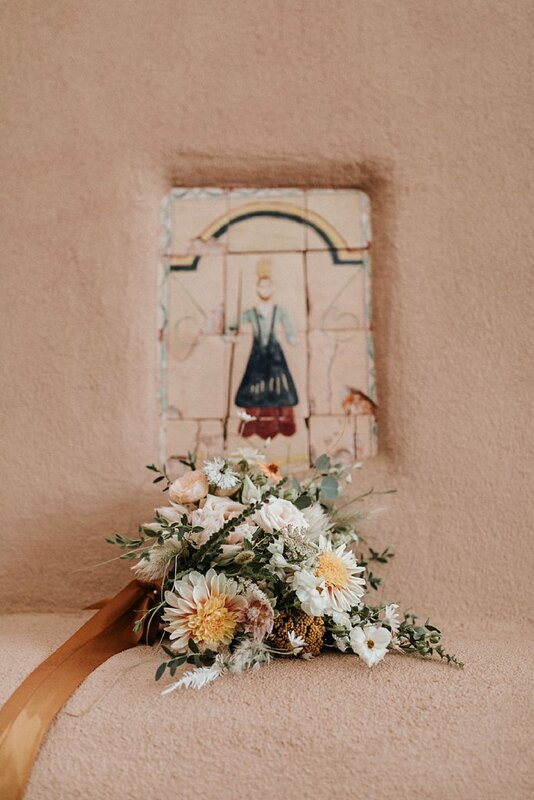 Elizabeth also included her grandmother’s turquoise broach (that she had purchased in Santa Fe many years ago) on her bouquet as her something blue. 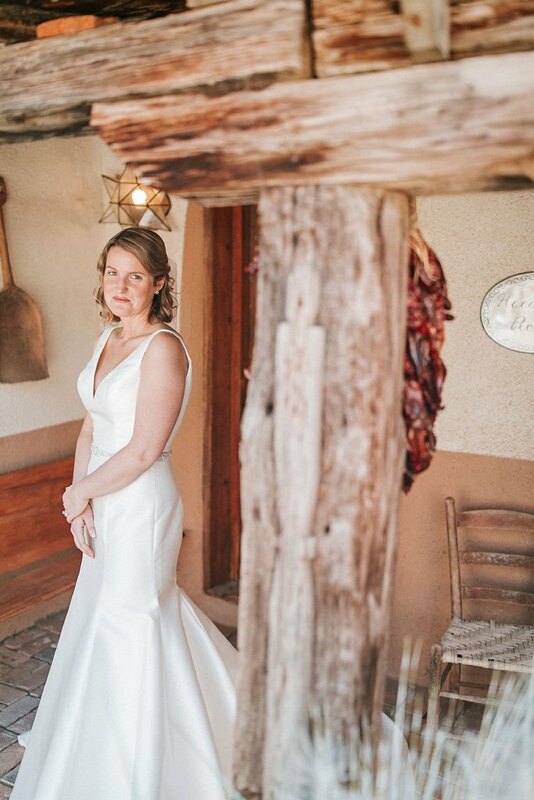 We were so excited to capture their first look at the opera and, of course, explore the wildly enchanting grounds for plenty of stunning romantics. 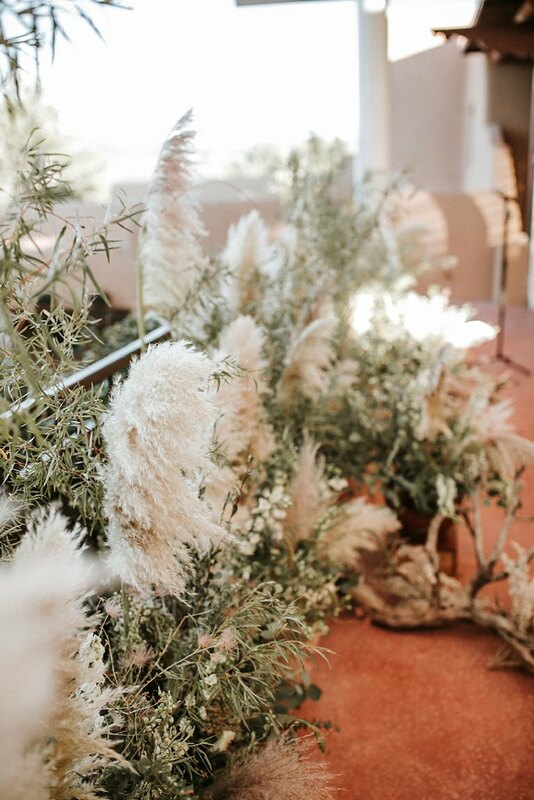 Besides getting to party at the world famous Santa Fe Opera, Randy and Elizabeth’s guests were also treated to a little Jessie Baca and Viva Flora magic including pashmina wraps to keep out the early October chill, the dreamiest guest seating signage, and all the dusty denim/blush/rose gold table accents for days! We’ll probably never be over this day or these two babes! Congrats Randy + Elizabeth, you two were an absolute dream.